With Malaysia’s booming economy and globalization, there is an influx of expatriates from various countries to our country. Georgetown is rapidly becoming an expatriate hub for its highly industrialized economy. To date, Penang has drawn numerous MNC companies into investing in the state comprising Dell, Intel, Motorola, Altera, Seagate (to name a few) centered in Bayan Lepas Industrial Zone area. Due to the large number of MNC companies, it creates a huge demand in the market for serviced apartment among expatriates on work-affiliated assignments seeking for short stay. This causes undersupply issue with the inventory shortage on that aspect. Therefore, service apartment or short term rental is generating higher rental income when compared to rent from residential property. According to New Bob Group Director, Dr. Lee Ville, “If you wish to invest in real estate, it is highly recommended to diversify your exposure to service apartments in order to generate higher annuity income than what residential apartments could offer. Not only could it cater for expatriates’ demand, but also for local and foreign tourists. Hence a very wide network of prospect is available. 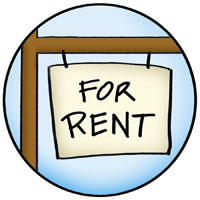 Service apartment or short term rental is an opportunity investor to generate higher yield income. A serviced apartment is typically known as a furnished accommodation with a small kitchen and rooms generally more spacious than a hotel. It comes with modern communication facilities namely telephone, fax and an internet connection. Some also render conference rooms, apart from housekeeping staff and concierge services. With the limited supply of serviced apartments in town, it could fetch higher Gross Return on Investment (ROI ) annually compared to residential apartment rental. Eg: A typical 2 bedroom fully-furnished apartment can fetch RM3000 per month if you rent on 1 year tenancy for residential rental. On the contrary, if you rent it for RM250 per night, 1 month = 30 nights x RM250 = RM7500. An obvious difference of more than 50% in profits. Dr. Lee Ville of New Bob Group added, “To embark on this form of investment, one may turn to New Bob Group, a renowned and pioneer real estate company in Penang. It offers aspiring investors a myriad selection of properties at affordable rates, in line with their aims of yielding higher profits and securing wealth”. Are you a Property Buyer for Owner Occupancy or Investment? Is Income from Investment Taxable?